Mi-Kyoung Lee is associate professor of Crafts and the head of Fibers at the University of the Arts. 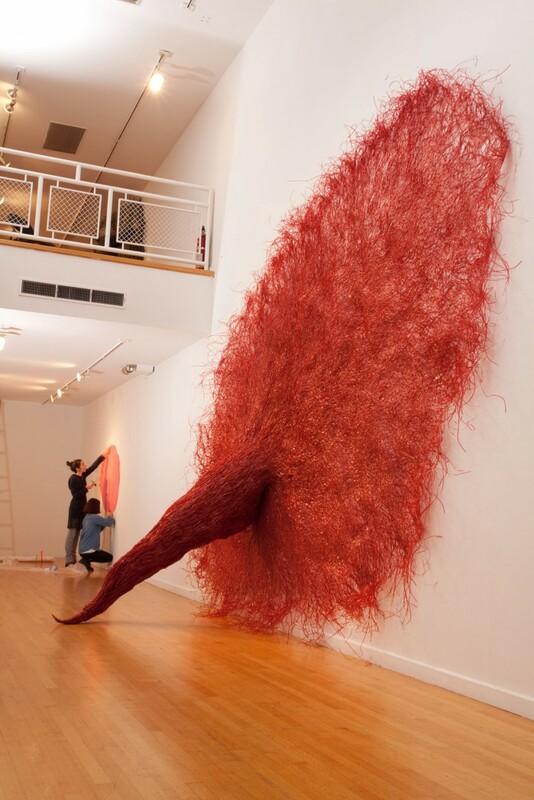 Lee earned her BFA in Fibers from Dong-A University in Busan, Korea, and her MFA in Book Arts/Printmaking from the University of the Arts, as well as MFA in Fibers from Cranbrook Academy of Art. Lee has had eight solo exhibitions and a number of national and international shows, including Reading Public Museum, Cranbrook Museum of Art, New York and Chicago SOFA, Busan Metropolitan Museum in Korea, and most recently Espace des Tisserands, Alsace, France. Her work has been represented through Snyderman-Works Gallery in Philadelphia since 2004. She received a Junior Minority Faculty Grant Award from Lindback Foundation in 2004 and 2007. Lee was an editor for Art Textile of the World: Korea, Volume I, which was published in December 2005. In the summers of 2005, 2006 and 2008, she collaborated with the International Opera Theater Company to develop costumes and set designs, assisted by University of the Arts interns. These three projects, “The Winter’s Tale, “The Tempest” and “Romeo and Juliet” were performed in Italy. The repetitive process of mark making has been a great strength in my work. I allow my intellect and body to follow the rhythmic processes of repetition, understanding the relationships between tool and material, the material and process, and image and content. The consistent process of art making is ritual ceremony. My entire body and soul purely united. The inspiration behind my images unfolds with the mysterious human life. Installation art is created or adapted for the different exhibition spaces made available to the artist. Lee is bringing some sculptural elements with her, but the installation she creates at the Tarble will be unique in its overall configuration. Lee’s sculptures look organic in form but are made using common, manufactured materials such as twist-ties, zip-ties, pipe-cleaners, and plastic flowers. Her art symbolically explores the relationship between the man-made and the synthetic, humankind and the environment, and between social constructs and natural order. Lee’s repetitive processes echo age-old fibers techniques, such as knitting and weaving, and rhythmic life-forces, like the movement of the tides and changes in seasons. Her complex combination of forms and materials references nature and artificiality, the healing and the toxic, popular culture and the natural world. The artist holds a BFA in Fibers from Dong-A University Busan, Korea, and MFAs from the University of the Arts in Book Arts/Printmaking and in Fibers from Cranbrook Academy of Art, Bloomfield Hills, Michigan. Lee has been given eight solo exhibitions, and her art has been exhibited in Philadelphia, New York City, Chicago, Busan (Korea), Alsace (France), and many other locations. For three summers, Lee collaborated with The International Opera Theater Company to develop costumes and set designs for Italian operatic adaptations of William Shakespeare’s plays performed in Città della Pieve, Umbria, Italy. In addition to teaching and her work as an artist, Lee has had articles published in Design magazine and the Michigan Korean Journal, regularly contributes essays to the Korean monthly magazine Crart, and was the editor for Art Textile of the World: Korea. Lee’s residency is a New & Emerging Artists Series program of the Eastern Illinois University College of Arts & Humanities presented by the Tarble Arts Center and the Art Department.